54 photos concentrating on 31 steam locos at this new and expanding narrow gauge railway. 21 of the locos were serviceable, and many were in steam. Colonial Sugar Refining Co No 19, Statfold Barn Railway, Sat 8 August 2015. 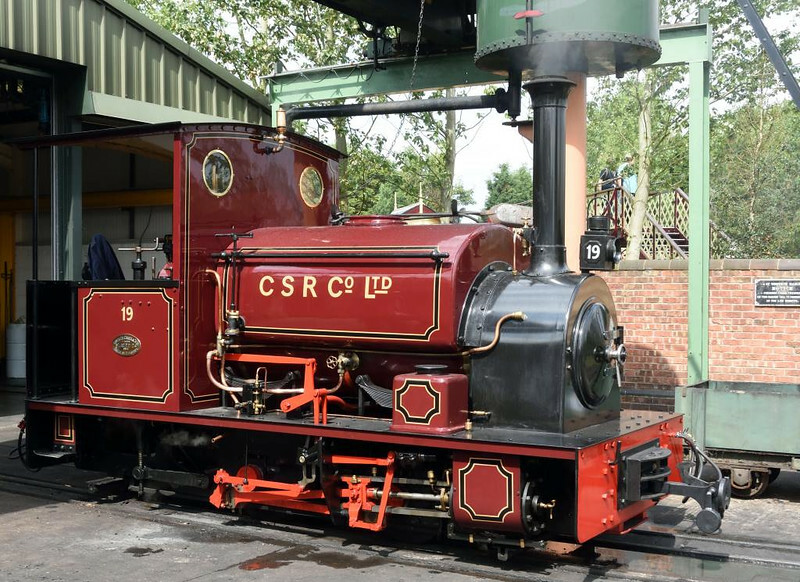 Hudswell Clarke 0-4-0ST 1056 / 1914, 2ft gauge. Repatriated from Fiji.